Paul Kalanithi sought to understand one thing, the meaning of life. He wanted to grasp what it is that defines our existence and endeavoured to explore the boundary between life and death. 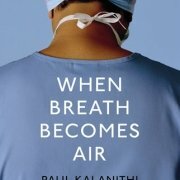 This book is a beautiful memoir in which Kalanithi shares with the reader his own personal journey into discovering such meaning. You experience his shift in perspective of the world in which he lives and the decisions he faces once being diagnosed with terminal cancer at the age of 36. Kalanithi was an impressively intelligent and high striving individual who, as a chief resident of neurosurgery at Stanford, was just months away from completing 10 years of hardest and most gruelling training of any clinical fields. His journey there was not a straight road. From an early stage Kalanithi’s fascination with the inevitable interaction of science and mortality, he strived to learn about “what makes a virtuous and meaningful life”. He began this mental exploration with two B.A.s and an M.A. in literature combined with human biology at Stanford, but gave up the pursuit of a full-time career in writing by doing a Masters in the history and philosophy of science at Cambridge. Unsatisfied with philosophical reasoning, Kalanithi looked to the most critical place for human identity; the brain – he pursued a career in Medicine at Yale before returning to Stanford for a residency in neurological surgery and a postdoctoral fellowship in neuroscience. 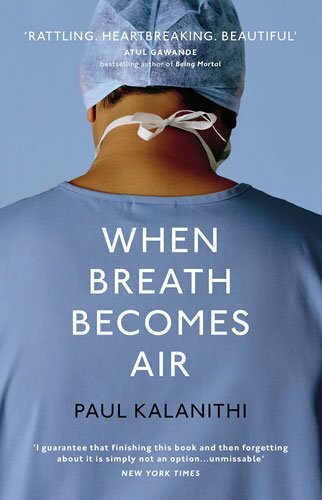 Having led a fascinating life, Kalanithi did not want to leave it unrecorded, in his inspirational memoir he expresses his insights and emotions, without a hint of self-pity, of being a doctor, a patient, a husband, a father and the strains and gratifications that came with them. He invites you to become entirely emotionally invested in his journey, and the issues that he faces during his shift from the all-powerful doctor to the helpless patient, you share his pain and anguish.  He soldiers on writing the book through his weakest times, a real representation to his commitment and dedication to the cause. Kalanithi’s wife writes the afterword posthumously about his last few days and his inspirational outlook on his short but successful life. He was a man that had so much to contribute to the world. A beautifully powerful book. Truly thought provoking and eye opening, it will most likely leave you sobbing at such a tragic loss of an unbelievably talented man whose words will change your perspective on the world we live and die in. https://wtplondon.com/wp-content/uploads/2018/04/when-breath-becomes-air-cover.jpg 500 322 Gabriella Rose https://wtplondon.com/wp-content/uploads/2016/08/300-wtp-rev@2x-300x265.png Gabriella Rose2018-04-26 10:33:272018-07-11 15:20:53Book review by Gabriella Rose - "When breath becomes air"